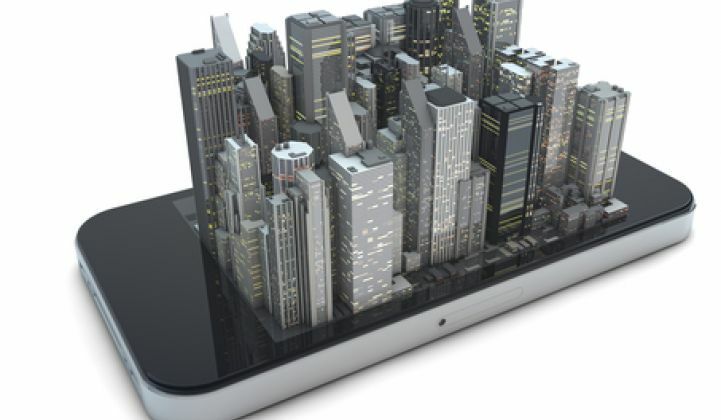 Who Will Emerge as the Opower of Commercial Building Efficiency? Amidst a very crowded market, commercial intelligent efficiency companies try to stand out. When Opower revealed its fifth-generation software platform for utilities, it made clear what was already becoming apparent: the company isn't just a siloed provider of incremental residential efficiency anymore -- it is starting to become an integrated part of utility customer engagement. Seven years ago, Opower saw the immense potential in mining residential billing and meter data. So did a lot of other companies. But rather than set a mission of becoming the next "big-data, cloud-based, utility efficiency architecture-buzzword-thingamajig," Opower used that utility information to send out simple leaflets in the mail showing consumers how their energy use compared to others around them. Who would have thought that pieces of paper with simple bar charts, smiley faces and frowny faces would add up to 4 billion kilowatt-hours of saved energy? Opower certainly didn't start off as the "cleanweb" darling it is today. Over time, those paper notices have organically evolved into texts, email, personalized dashboards (although paper is still popular), as well as a new platform for residential demand response. And with 100 billion meter reads a year, Opower's capacity to handle data has turned into a back-end system for managing billing, marketing and customer outreach for some utilities. It would be extremely premature to declare Opower a "winner" in the very nascent intelligent efficiency sector. The company is still not profitable and faces long, difficult sales cycles. The success of its forays into smart thermostats and residential demand response is also far from assured. And even with 93 utility customers, it still relies on a handful of big utilities for more than half its revenue. There are also dozens of other companies moving deeper into the home and forging similar relationships with utilities. But if any residential intelligent efficiency company is equipped to become the dominant platform for utilities managing a big portfolio of residential customers, it's probably Opower, which also happens to be on its way to a $100 million IPO. So will any startup rise to the same potential in commercial buildings? Could there be a software platform that becomes the central hub for utility efficiency programs in that sector? Out of the hundreds of software and data startups tracking energy use in commercial buildings, there isn't a dominant leader among those with direct utility customers. There are, however, a few companies that stand out as potential candidates. Like Opower, they started off with very targeted approaches and are evolving into something potentially much bigger in the utility sector. The two startups closest to this model have their roots in the virtual auditing space: Retroficiency and FirstFuel. Both of these companies started off by offering basic, no-touch audits based on commercial energy consumption data, eyeing energy service companies and utilities as the primary customers. By rapidly modeling a large swath of buildings without ever stepping foot inside, these virtual audits can drastically reduce the amount of time it takes to find efficiency opportunities -- many of which are simple operational improvements with little or no cost to implement. Those auditing products are still the core of Retroficiency's and FirstFuel's offerings. But in recent months, both firms have moved away from their traditional label as virtual auditors, and have started rolling out services that get them closer to being an end-to-end platform for utilities monitoring their commercial efficiency programs. "Being a central platform to drive efficiency savings is exactly what we’re going after," said Bennett Fisher, CEO of Retroficiency. "We can do the monitoring and verification and prove to the utility commission that savings are being realized." In a recent interview, FirstFuel CEO Swapnil Shah said almost the exact same thing: "For a utility to claim savings, it has to prove that those recommendations came from a utility-funded program -- that the actions were a result of a utility-funded program and were achieved. We connect all those dots." Last month, Retroficiency announced that it is working with Con Edison to model and track the performance of thousands of buildings in New York City. That brings the company's total portfolio to fifteen utilities and more than 1.7 billion square feet of buildings under tracking. FirstFuel also has fifteen utility partners with a similarly sized portfolio of buildings. As their relationships expand, both firms are working closer with program administrators to help them more accurately verify the performance of commercial efficiency programs. They are still relatively small even compared to Opower. But the path FirstFuel and Retroficiency have followed -- starting with a simple auditing project and moving into a program-wide management tool for utilities -- is very similar. That broadening strategy puts both firms squarely in competition with a slew of other startups and well-established data providers that are building analytics platforms for commercial efficiency programs. Calico Energy, C3 Energy, Comverge, Ecova, EnerNOC, GE, GridPoint, IBM, Schneider Electric, Siemens and Pulse Energy are just some of the firms with back-end systems for utilities to verify their efficiency efforts. Heck, even Opower has started experimenting in the commercial market. Because the commercial efficiency space is so much more complicated than residential, each of these companies approaches the market from a different direction. GE, IBM and Siemens already have deep roots in managing power assets and smart meters; EnerNOC and Comverge are leveraging their demand response customers for commercial efficiency; C3 Energy and GridPoint are taking the big-data approach to customer engagement; Ecova is taking sustainability metrics from other industries and applying them to the utility sector; and Pulse Energy is deploying software in individual commercial buildings for utilities to monitor. The end goal for all these competitors is to be a single-solution platform for a utility to measure and verify savings for regulators. However, when looking at the extremely long list of companies operating in this space, there isn't any one company that has carved out the same niche and brand as Opower has in the residential sector. In the end, the commercial market is so diverse and so big, there probably won't be one firm that rises to the top anytime soon. But that isn't stopping all these companies from trying. "That's what Opower went after, and that's what everyone else is going after," said Retroficiency's Fisher. If Opower is any guide, it may not be the biggest or most data-heavy company that stands out -- it may be the one with the simplest tool and most effective approach to building relationships with utilities.